Photocafe in Incheon | 14 Unique Thematic Cafe You Should Visit in Seoul! Deep down, every Korean is a photographer. So why not satisfy the human passion for films and lenses and create themed photocafe? 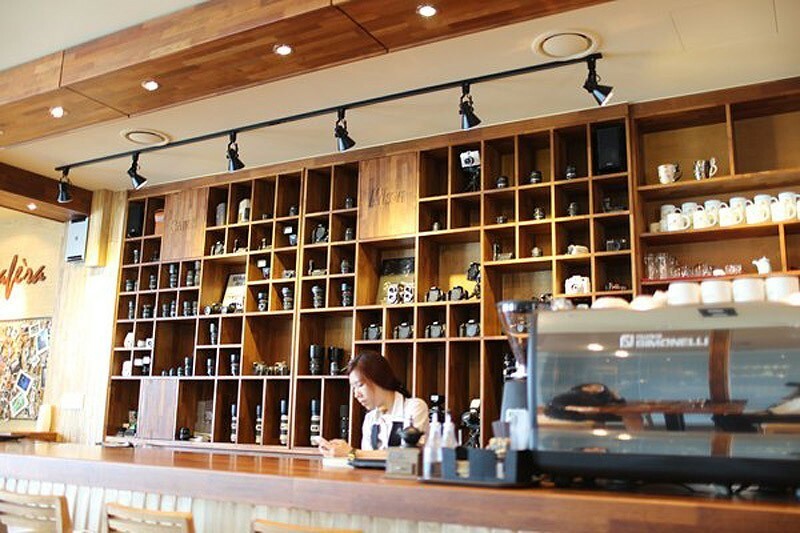 Cafe'ra is located in Incheon. On the walls interesting pictures hang, but it's not the most interesting. If you came with your camera and order a drink, you will be allowed to use lenses of the cafe, and take pictures of anything inside of the building.